Resize images for the web. 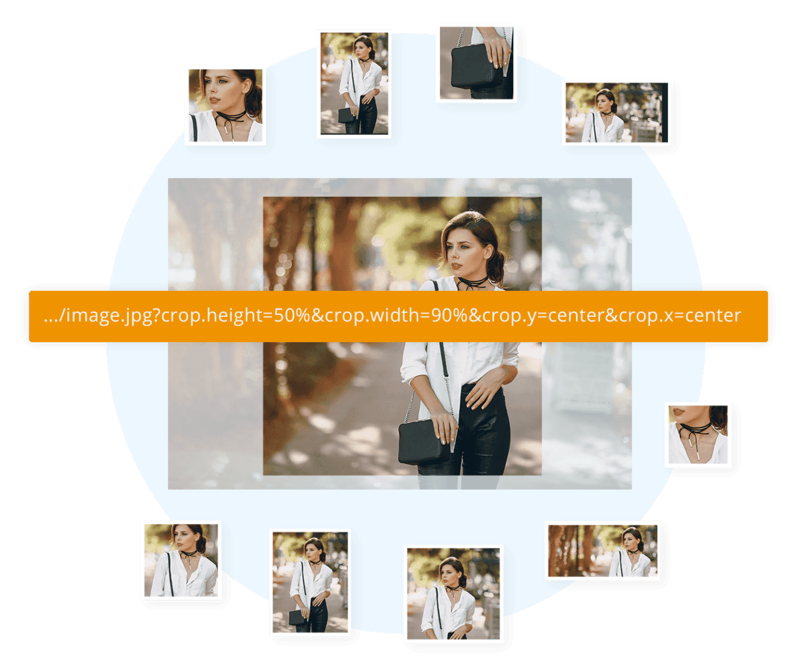 Dynamic image resize and crop API by Sirv. Never worry about losing your original images again. 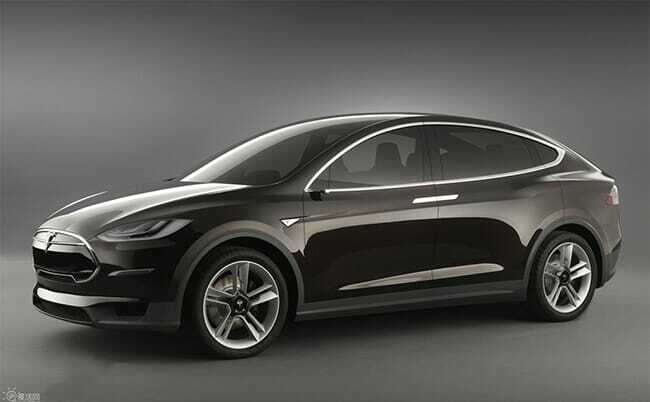 Sirv generates new resized or cropped versions, leaving the original image untouched. All images are safely stored on our global CDN. Create as many variations as you like, there’s no extra charge for them. 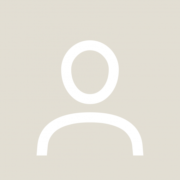 Streamline your image management even greater, with profiles. Resize, crop and manipulate images in bulk instantly, from a set of profile options in your account. All images referencing a profile will instantly update if you change the profile settings. Sirv automatically optimises and serves the most popular image formats: JPEG, PNG, GIF, WebP, PDF and PSD. 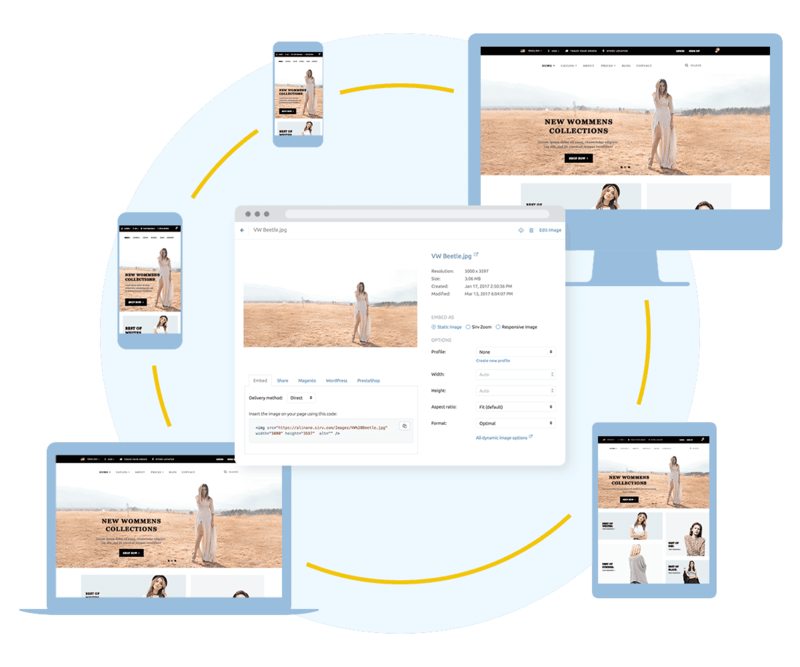 It is smart enough to detect the most optimal format, so that you can deliver images in the perfect format, size and quality every time, to every user, without lifting a finger. 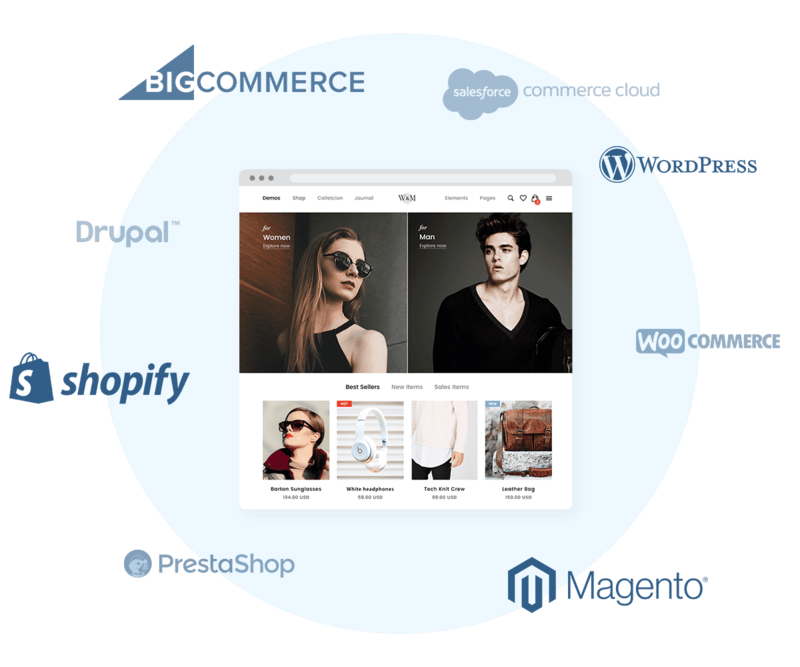 Sirv provides plugins for popular platforms including WordPress, WooCommerce, Magento, PrestaShop and others. 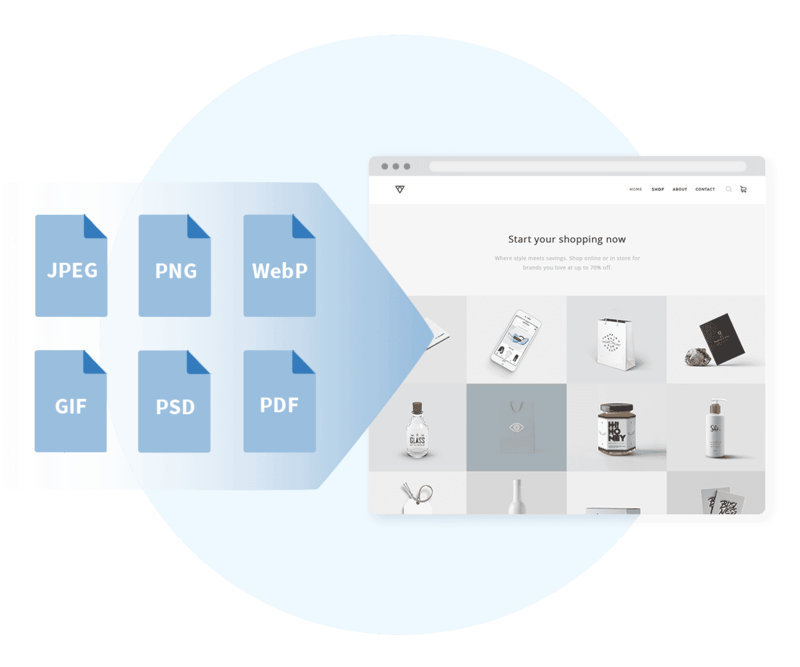 The automatic sync fetches your images, then serves resized and optimized versions from Sirv’s CDN. Instant optimization with zero fuss. Sirv automatically resizes and optimizes images depending on your users’ devices. Lazy loading means they only load when needed. Improve user experience, save bandwidth and increase your website’s speed – effortlessly. Resize a single image to any dimension simply appending width (w) or height (h) parameters to the URL. Apply sizes either in px or %. Crop any part of an image by setting crop dimensions and/or coordinates. Or use the auto-crop feature to perfectly crop a product image to its edges. Like all Sirv image processing, easily apply your options in the image URL or in a profile. Sirv can quickly create square thumbnail images with the ‘thumbnail‘ option. It will perfectly resize and crop images around their center. Ideal for quickly generating identically sized square images from any original size. Adjust not only the image but its canvas too. Sirv is fantastic! My website has lots of images – most of them large – which resulted in slow site speeds, even with a CDN. What I love about Sirv is their CDN and they dynamically resize images based on the user’s browser/device. Plus, it serves the best file type. It has meant HUGE speed improvements on my website. In addition, their WordPress plug-in works a treat. I was worried about having to move my entire media library to Sirv myself, but the plug-in automates this process without any glitches. Support team is also very responsive and fast. Highly recommended! It’s such a relief that I never have to resize images manually again. I just upload the original large images and I’m done. Magic! Start optimizing your website images today! 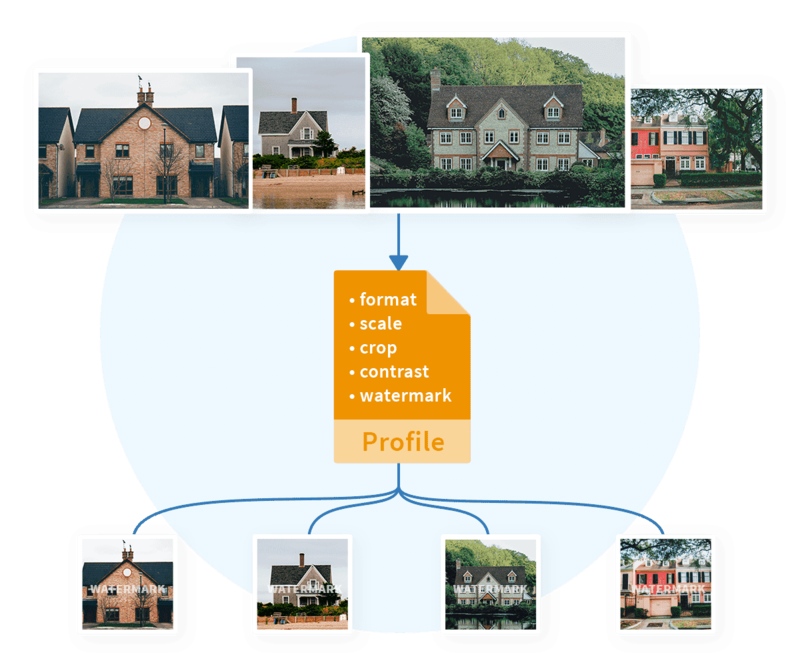 Sirv automatically optimizes your images keeping the perfect balance between a brilliant image quality and a smaller file-size to increase page load speed. You don’t need to create multiple variations of a single image to make it look decent on every device. Sirv automatically scales and crops images to fit in your visitors’ web and app screen.